Did you know that around 30% to 40% of food produced in the United States is thrown away every year? That is about 38 million tons! As much as I hate to admit it, I am guilty of contributing to this waste. I don’t do it intentionally, but I find myself throwing away spoiled produce, freezer burned meat, and leftovers more often than I would like. I have been trying to cut down on the amount of food I toss for a while now, but I knew I could do better. Recently, I was given the chance to review the Avalon Bay food sealer and it has been a tremendous tool in my effort to cut waste. As an added bonus, it has also lowered my grocery bill! The Avalon Bay FoodSealer300S Vacuum Sealer is a handy kitchen tool that extends the life of food. It uses a powerful motor to remove excess air from the storage bag and create an airtight seal. This storage method keeps food fresh for up to 5 times longer than ordinary freezer bags. It also helps preserve the flavor and nutritional value of food. This vacuum sealer features a moist and dry function as well as two speeds to give you control over your food storage. It also has a pulse setting that allows you to decide when to release the pressure for softer foods. A bag roll dispenser, integrated cutter, and built-in cord storage keeps your supplies together and easy to store. The FoodSealer300S was simple to use right out of the box. With multiple settings, it accommodates all types of food. The automatic setting is perfect for standard foods and with the touch of a button, it vacuums and seals. I make a lot of homemade sauces and soups and for those I use the pulse and moist settings. This lets me choose when the vacuum pressure stops and prevents liquids from being pulled out during the vacuuming process. I have learned that freezing soup and sauce beforehand makes it even easier. On occasion, I buy meat in bulk, divide it up, and store it in freezer bags. I would like to do this more often, but it doesn’t take long for freezer burn to set in. Not buying in bulk means spending more upfront, but I am not throwing out hundreds of dollars in meat each year. With the FoodSealer300S however, this is no longer an issue. I can buy in bulk as often as I would like and not worry about freezer burn setting in as quickly. The FoodSealer300S extends the life of all types of food, not just meat. 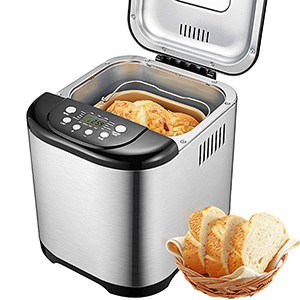 You can also use it to preserve soups, sauces, seafood, blanched vegetables, and even dry goods such as cereal. I use mine for everything from meat and chili to fresh veggies. For instance, when I buy a head of lettuce and only use part of it, the rest turns brown within a week. If I vacuum seal the leftover lettuce, it is still good after 2 to 3 weeks! The quality of vacuum sealed food is amazing compared to food stored in regular freezer bags. This kitchen tool has truly been a blessing in my home. I don’t know how I have lived without it all this time. You can check out this vacuum sealer and some other great small appliances at Air & Water. Right now, our readers have a chance to save 30% on the Avalon Bay Vacuum Sealer | FoodSealer300S. Just enter the code BLAHBLAH at checkout! You can connect with Air & Water on Facebook, Twitter, and Pinterest. Kids Can Get in On the Morphing Action with Screechers Wild!